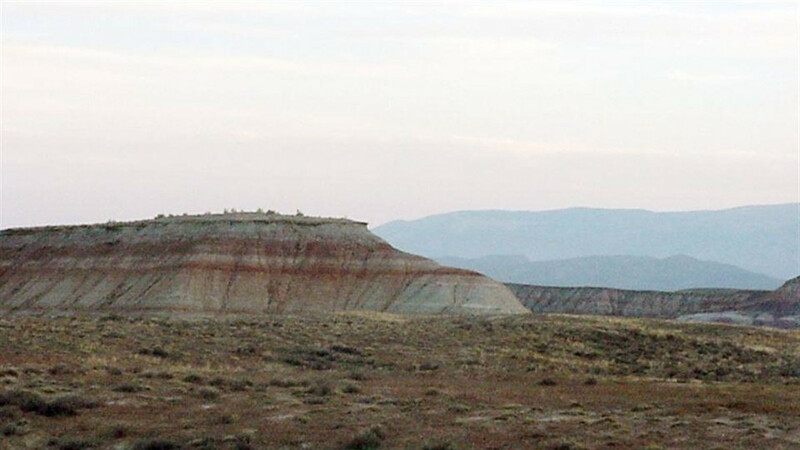 Drive along Wyoming’s Red Gulch/Alkali Scenic Backway when it's open and dry, between May and October, and you’ll encounter stunning showcases of area history as well as the colorful geography of the Big Horn Mountains. 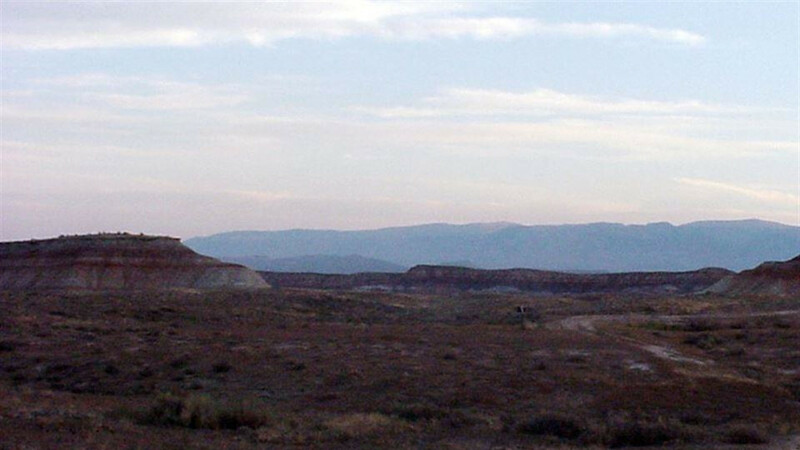 A 34-mile route through a mostly untraveled (and unpaved) section of the Big Horn Basin, there are no towns, stores, gas stations or telephones along the way. Take drinking water, food, and a spare tire—the ride can get bumpy. 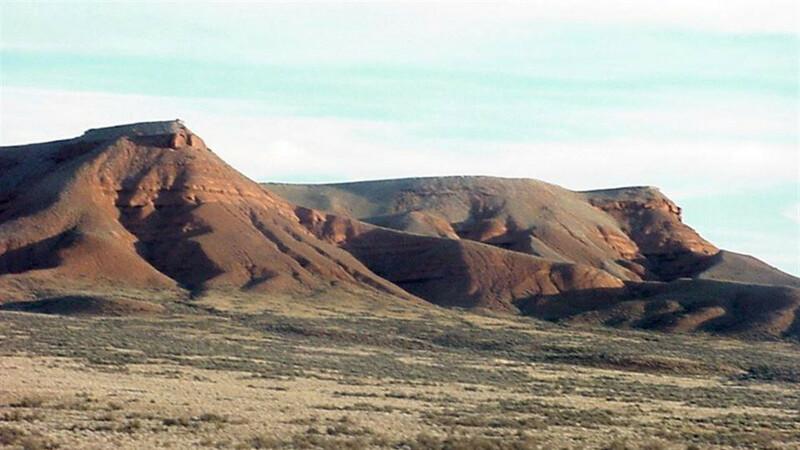 Along the Red Gulch Road you can see the red hills of the Chugwater formation, formed 230 million years ago when warm seas covered Wyoming. There are rugged, steep canyons, caves and unique table rocks eroded by water and carved by wind. The route passes the 13,000-foot Big Horn Mountains, still in their geologic teens, formed only 60 million years ago by a period of massive uplifting. Driving the Backway, you’ll traverse country inhabited since the Paleo-Indian mammoth hunters came here 12,000 years ago. You’ll see rock cairns, or “sheepherder monuments”—piles of rocks built by sheepherders in the late 1800s and early 1900s (they served the dual purpose of landmark and pastime for bored sheepherders). A short drive to east will take you to the sandstone cliffs of Medicine Lodge State Archaeological Site,where you can stop and wonder at the ancient petroglyph murals. But along this backway, you’ll also see signs of other, far older inhabitants. 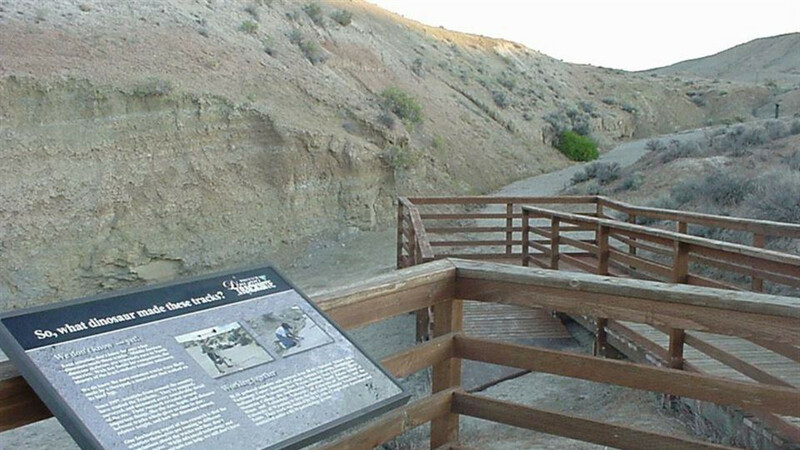 Starting at the route’s northern end on US Highway 14, make your way south until you reach the Red Gulch Dinosaur Track Site, the largest dinosaur track site in Wyoming. Here you can see time-defying footprints left by our hulking reptilian predecessors imprinted in stone. You can actually walk in the footprints and take invertebrate fossils from the mud walls. 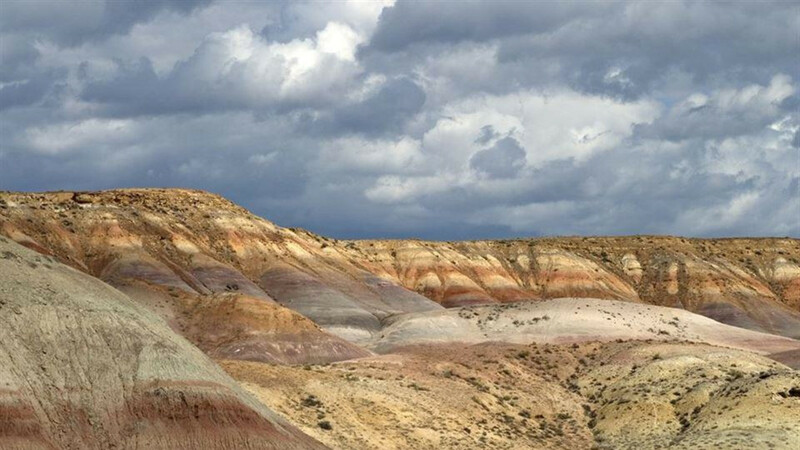 State paleontologists don’t mind—there are millions more buried under the topsoil all around you.